I am no political analyst but clearly the silence or indifference of most Nigerians on critical issues is worrisome and I fear for the future. The attitude of “na there problem or wetin I fit do” must be addressed. 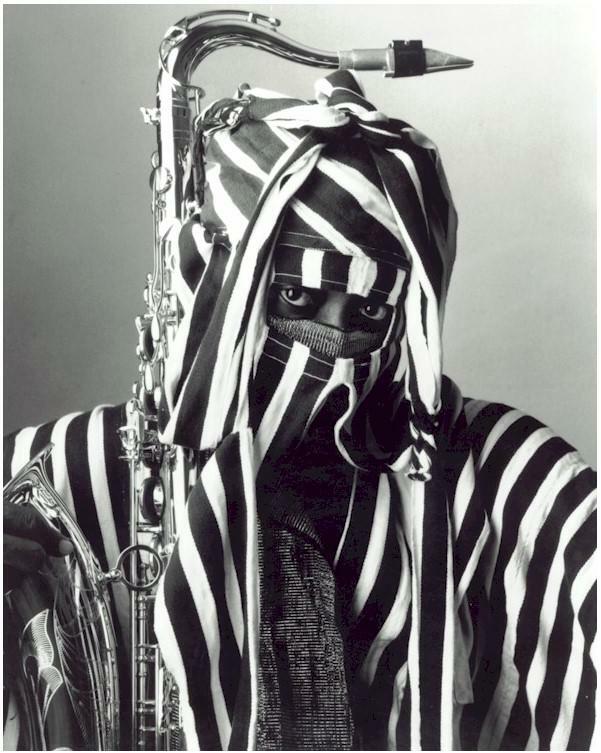 Read Lagbaja’s reply to Okey Ndibe’s article http://www.nairaland.com/1386570/okey-ndibes-article and deny if you not a mumu. Apologies for the seeming overgeneralization but the vast majority runs with this mumu mindset. There is a limit to how much one can squeeze into a song before sounding less music than sermon. Please permit me to expatiate using your perimeter of “recent events in the past week or two”. For simplicity I would use a numbered list to analyse and highlight a few seemingly disparate but absurd mumurity examples and indicators. 1. 5 members trying to impeach a governor would make you think there are probably only 6 or 7 members of the House of Assembly. According to the assembly’s website there are 31 members. For mumus, 5 out 31 constitutes a majority. 2. In the land of mumus you can make your own mace and confer it with automatic authority, elect a “new Speaker” and swear him in. 3. No single hospital in Nigeria to entrust the unfortunately injured member with. He had to be flown to the UK. 7. Nyesom Wike the Minister of State who led the visit was until recently the Governor’s (Amaechi’s) Chief of Staff. He was allegedly nominated for the Ministerial position by Governor Amaechi. 8. Shouldn’t the mumus wonder how Nyesom Wike as Minister of State for Education found the time for this all important trip while abandoning his post in spite of the raging crisis in his ministry with the Academic staff union of Nigerian universities currently on strike? Well the mumu staff and students can rot in hell I guess. 9. Madam Patience would probably have “visited” too, if not for the noise such would generate. So for now, the victim suffers alone. 10. The erstwhile pontificating police boss of the State could not find the patient’s prominent attacker for over a week. 11. Madam Patience having first denied any involvement in the crisis while verbally attacking Soyinka, eventually owns up “pouring out her grievances”. 12. She owns up to a group of visiting Bishops who came on a peace making mission to find a lasting solution to the crisis in their region. Religion is always an easy scapegoat and tool of deception in mumudom. 13. Why would you even think that the Bishops would go back empty handed? Any “transport fare/thank-you-for-coming”, if received, would have likely been financed on tax payers’ account. 14. And why are we ranting about “tax payers”? Why are the tax payers not furious over the incessant misappropriation and misapplication of their hard earned contributions? The answer lies in the question… Aside from PAYE, how many are compliant in mumudom? 15. First a set of 5 Governors and 3 Deputy Governors (representing their respective Governors), left their duty posts for a solidarity visit with the embattled Governor of Rivers State… of course to the detriment of tax payers. (a) They were not on leave, but left urgent work and duties behind for the “emergency” solidarity visit. (b) Flight to and fro Port Harcourt of course likely on tax payers’ account. 16. They were closely followed by a second set of 4 commiserating sympathetic Governors. Of course, again likely on tax payers’ account. 17. Madam Patience’s grievance, as she divulged to the visiting Bishops, started when Governor Amaechi refused to be governed by her, as he would not listen to her veiled orders on how to govern the State… which incidentally is her primary territory being her State of origin. Mumus have no problem with that, fully being in harmony with her as she sings as first lady in Abuja while simultaneously dancing in absentia as Permanent Secretary in Bayelsa and conducting the orchestra in home state, Rivers. 19. Where was her outraged sense of motherhood when Senators were busy voting to turn mumudom into a Nation of pedophiliacs at the expense of her innocent “daughters”? 20. Where was her outraged sense of “mother of the Nation” when the video of 5 gang rapists went viral. Has she used that “mother of the Nation” power to find the culprits? Not a priority in mumudom. 21. Where was her outraged “motherhood of mumudom” when 46 school children were murdered in Yobe? Indeed the whole Nation of mumus have just gone on with their more important mumu lives like nothing happened. 23. In the land of mumus, the rulers know they can always throw in the religious card, so Senator Yerima leads the child slavery onslaught with the religious chant. 24. While all this was going on, 79 year old OPC founder, Dr. Fasheun was, in his own description, “delivering” Mustapha to Kano. 25. Soon after, Gumsu Sani Abacha had the courage to rant on social media about her proud heritage… because with the mumus who his father savagely ruled over… nothing go happen. 26. Gumsu even called Soyinka who was a victim of her beloved dad’s misrule, “Mad empty Professor” … because in mumudom, “nothing go happen”. 27. Final scores… Jang 13, Amaechi 19, but in the land of mumus Mathematics has a different interpretation for 13 is greater than 19. Even the President of the mumus ratifies that. 28. By the way, both Governors Jang and Amaechi are from the same imploding political party. 29. Jang says he is old enough to be Amaechi’s father… a common escape route that is often quickly bought by the mumu populace. Old enough to be the President’s pawn and to upturn justice might be more like it. Only possible when you know for sure that your people are mumus… Nothing go happen. 30. The Governor is supposed to be the chief security officer of his State, but apparently in mumudom, his Police Commissioner is his boss. 31. The Governor’s security staff could be so easily withdrawn because nothing is institutionalized in a Nation of mumus. The loyalty of the security personnel is not based on the constitution but on personal or maternal affiliations. The mumus keep watching because “it does not concern me o”… “Big men and women are fighting”. Same way the injustice of the Nation’s attorney general’s assassination does not concern them. 32. Most reports in the Nigerian media kept referring to the self appointed Speaker as if he were truly the substantive Speaker. A mere use of “self-acclaimed” would have been logical, but they were already calling him the Speaker because… ignorance? inducement? resignation to the belief that the 5 vs 26 Assembly coup was already a done deal? 33. While all this drama unfolded, Nigeria, like the proverbial head-burying ostrich felt it had the moral right to insist on democratic processes in Egypt. 34. Sahara Reporters had screamed about the underhand conspiracy to proclaim Mustapha “not guilty”. Mumus simply went about their daily mumurity unperturbed because “it doesn’t concern them”. And when it happened as predicted… no problem. Mumus continue dem jolly as if nothing happened. 35. Meanwhile, Daniel and his political supporters carried their politics into the house of God at Rueben Abati’s mother’s funeral service… simply because there is no true reverence for God. Religion is a safe hiding cave. The mumus in the congregation would never protest such sacrilege because… “it is not strange” as the houses of God are now also political grounds. Obasanjo built one in Abeokuta. Jonathan got one built in Otuoke. 36. Meanwhile, some other mumus were again busy putting the Nation to international shame. In unprecedented match fixing fiascos, Police Machine beat Bubayaro 67-0 while Plateau United Feeders beat Akurba FC 79-0. Just in case you are confused, the game was soccer, not basketball. 37. The matches were to determine which one of the two tied teams would be promoted into… wait for this… just the 3rd division of the Nigerian soccer league. How many goals would they have to orchestrate when they want promotion to the 1st division? 38. Interesting to note that one of the teams involved in these shows of shame, the Police Machine, represents the Police Force. Now who would investigate this scandal? 39. Mumus involved in the conspiracy had to include players… team management… referees and other match officials… spectatorshuh That is quite a large mumu cooperative. 40. Since four teams were involved, multiply the number of conspirators by 4 (except match officials and spectators which should be multiplied by “only” 2). Hence, the scam was done in the open. It was a confident public show of shame. No… two confident simultaneous scams. No problem as corruption is everywhere. 41. Before the matches, Police Machine and Plateau United were level on points, goal difference and goals scored, and each was playing its final match which would determine which team would get elevated into the 3rd division league. Plateau United scored 72 of its 79 goals in the second half, thereby averaging more than one goal per minute. This would necessarily include the time needed to celebrate each goal, retrieve the ball, bring it back to the center, wait for the referee’s whistle before kicking off again…. after each goal. 72 times. Or did they just write the preferred figures as we typically do on election day? 42. Is it not curious that neither of the two losing teams could manage a single consolation goal? What else are we if not mumus? 43. Then there was the innocent man who was freed by the high court in Owerri after having been unjustly incarcerated for seven years, “awaiting trial”. No compensation… nobody held accountable for his ordeal. He insisted on being taken back to the prison as that was his only guaranty of a roof over his head and a daily meal. It was merely a “small thing” in the daily bizarre news as mumus went about their daily mumurity with their typical mentality of “e no concern me”. 44. Remember that this is mostly a snippet of the past two weeks or so. But there is more… 20 year old Chijioke Nwankor allegedly Molests a 9 year old pupil to death in Calabar. Reportedly in his own words, he asked her to bend down in the uncompleted building because it was too dirty to lie down as the place was being used as a public toilet. That is mumudom parlance for faeces shamelessly defecated all over the ground. Could the defecation be by aliens from outer space? 45. Well… thankfully, there is always a little ray of sunlight sneaking through the dark jungle. A Briton who was kidnapped by an armed gang shortly after arrival in Lagos, has been released. …All in just the past two weeks or so in mumudom. Excuse me, I have to return to work. I need to earn £3000 for my British visa. Wait a minute, did I tell you I am still a Commonwealth citizen?